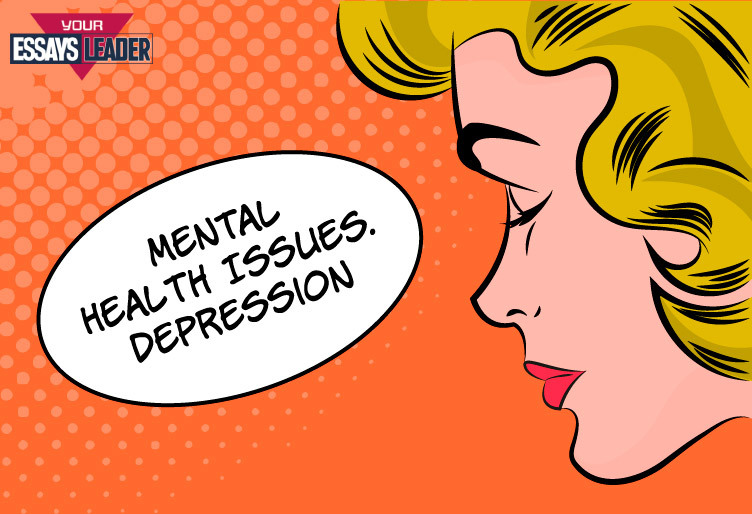 Some college students tend to experience the symptoms of different common mental issues, such as depression, anxiety, suicide, eating disorders, and addiction. It mostly happens due to a large amount of responsibilities and excessive anxiety. The National Alliance on Mental Illness says that while 1 in 4 students suffer from a diagnosable disease, about 40% of them don’t seek help. In the meantime, failure to treat mental issues may result in debilitating consequences. This article aims at examining the issue of depression. Please, remember that this article isn’t a substitute for a doctor’ visit. It has only introductory purpose and can’t serve as a treatment guide. If you or your friend experiences any symptoms of depression, consult a specialist. Depression makes the person feel helpless and detached from the world, impeding with the ability to do everyday tasks. According to a study held by the Association for University and College Counseling Center Directors, over 36% of college students experience symptoms of depression. This mental issue is the major reason why students quit college. In serious cases, it may lead to aggravating symptoms and suicide. Everyone faces some of these symptoms once in a while, so their non-recurrent manifestation doesn’t necessarily mean depression. However, the frequency of their appearance is an alarming sign. In this case, you don’t have to be embarrassed or afraid of talking about your feelings. The manifestation of depressive symptoms in college students is understandable. After all, you face so many challenges – being away from home, being overwhelmed with various assignments, and maintaining relationships with your friends or roommates. Therefore, you have to know how to recognize the signs of depression and timely treat them. Did they stop enjoying the activities they used to like? Did they stop attending classes or social gatherings? Do they regularly experience sadness or anger? Are they talking about dying or suicide? If your answers are “yes,” provide necessary support to your friend. Don’t criticize or judge them. Since your friend probably doesn’t control his feelings, don’t tell to “cheer up.” It won’t help. Be patient, encourage seeking professional help, and be there for support. Do you regularly experience the feelings of hopelessness and sadness? Do you turn to alcohol or drugs to relieve your feelings? Do you have thoughts of death and suicide? In case your answer is “yes” to any of these questions, you need to consult a specialist for mental health assessment. Most likely, you’ll need the support of someone you know, so ask your friend or family member to accompany you. National Institute of Mental Health aims to help detect the symptoms of depression, treat, and prevent it. ULifeline helps college students obtain necessary information about mental health and provides tips on helping friends who have mental issues. American College Health Association provides college students with helplines and brochures on different types of depression. The Jed Foundation gives emotional help to college students through special guides and events. Never leave symptoms of depression untreated. Be serious about this condition.